Whether you have a large kitchen or a small one, you want to maximize your use of the space you have. Many homes come with cabinets that do not efficiently use space. Some cabinets may not be easily accessible. Upgrading your cabinets to make the most use of your space in an accessible way will make cooking and dining in your kitchen a pleasure instead of a chore. Corner spaces are often the least efficient use of space. If you put cabinets in the corners of your kitchen, they are either leaving space unutilized or they are so deep on one side that they are not easily accessible. Instead of wasting corner space, consider a corner cabinet with a Lazy Susan instead of traditional shelves. This is often the most efficient use of corner space, and it makes accessibility a snap. Many people have issues with their lower cabinets. Many of these cabinets are vast empty spaces with no shelves or one shelf that makes use very difficult. If you are unable to squat or bend easily, these lower cabinets can be more of a pain to use than storage space should be. You can make lower cabinets more accessible by installing cabinets that have slide-out shelving. Your pots and pans will never be lost in lower cabinets again. 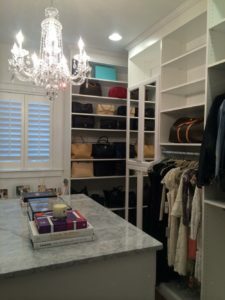 Some designers try to make use of every available inch of space all the way to the ceiling. This causes many cabinets to be outside of easy reach for someone of average height. Instead of keeping a step stool in your kitchen or neglecting the space entirely, consider upper cabinets that are shorter than the ceiling. 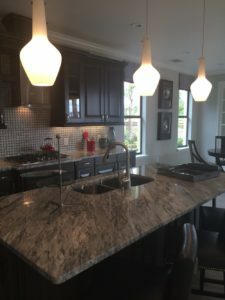 You can incorporate an island into your kitchen for more open counter space so that your cabinets don’t have to be mounted as high as the ceiling. If you are ready to reinvent your kitchen with accessible kitchen cabinets, contact us today. Our kitchen cabinet designers can help create the best design for your kitchen to make it accessible and a pleasure to use.